Format: Series is over for 2016, but recorded webinars can be viewed below. If you would like more information on other programs and updates, please select “Learn More” above to be added to our mailing list. As Cannabis laws in this country evolve, the need for informed and engaged community members is paramount. This series of talks will examine the history, policies, and emerging dynamics around Cannabis. Join the conversation and learn from experts in the fields of botany, law, and medicine. 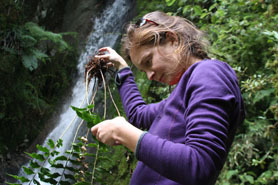 Monique McHenry, PhD is a botanist with a background in plant diversity and evolution. She is the co-director of the cannabis pharmacology course at the University of Vermont Medical School. She is also Co-Founder of the Phytoscience Institute, a plant-based pharmaceutical research center. Dr. McHenry completed her BA and MSc at the University of Colorado, and her PhD at the University of Vermont. 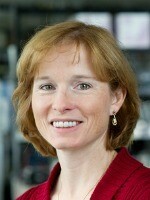 Karen Lounsbury, PhD is a Professor of Pharmacology at the University of Vermont College of Medicine. She received her PhD in pharmacology from the University of Pennsylvania in 1993. Research in Dr. Lounsbury’s laboratory is focused on understanding mechanisms whereby signals generated at the plasma membrane are communicated to the nucleus of vascular cells to mediate vascular remodeling and angiogenesis. Signaling pathways of current interest include protein kinase cascades, hypoxia signaling and mechanisms of calcium-regulated gene transcription in arterial smooth muscle cells and ovarian tumor cells. Kalev Freeman, MD, PhD is a physician-scientist with a background in molecular biology and specific research interest in inflammation and injury. He is Co-Founder of the Phytoscience Institute and the Medical Director of Vermont Patients Alliance Inc., a non-profit plant-based pharmaceutical research center that serves over 600 patients with debilitating medical conditions. He directs several ongoing research studies, and has been invited to speak at medical conferences and public events throughout the United States. Dr. Freeman completed his BA at the University of Michigan, and both his MD and PhD at the University of Colorado, where he specialized in molecular biology. 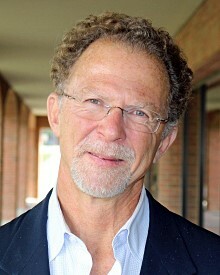 Wolfgang Dostmann, PhD. 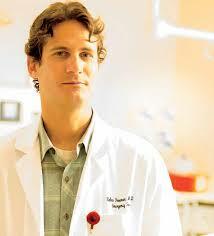 is a professor of pharmacology at the University of Vermont College of Medicine. He teaches a course on Cannabis Pharmacology at UVM. His research interests focus on the topic of ‘second messenger signaling’ and he and his team specialize in research on the contraction function of muscle cells in blood vessels. 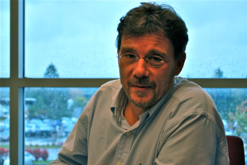 Dr. Dostmann works to develop methods and tools that allow us to study the cGMP-PKG pathway in vitro and in vivo in ever-increasing detail and has collaborated with the Pharmaceutical Industry in the development of novel drug targets involving cGMP signaling. Dostmann’s research is stimulated by and integrated through the use of a large variety of methods and techniques ranging from organic chemistry, biochemistry, molecular biology, cell biology, biophysics, physiology and pharmacology. Willy Cats-Baril, PhD is an Associate Professor for Information and Decision Sciences at the Grossman School of Business at the University of Vermont. He was a Senior Research Fellow at the London School of Economics and Political Science, and a Visiting Professor at several international institutions including the European Institute Administration at the University of Business Administration (INSEAD). Dr. Cats-Baril expertise is quality assurance and continuous improvement, assessment of medical outcomes, and certification and maintenance of competence programs. He is also a serial entrepreneur.